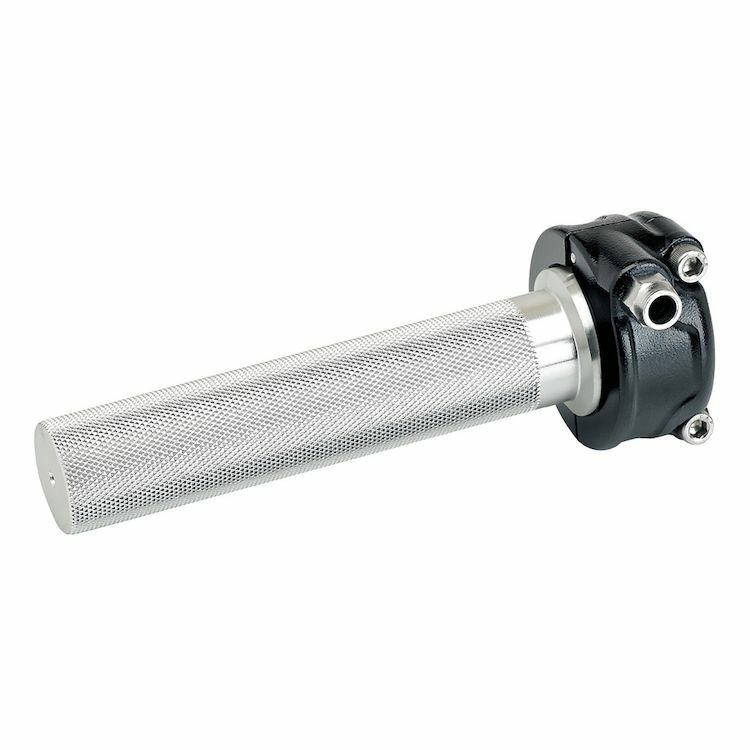 The Biltwell Whiskey throttle is designed for use on custom motorcycles and is constructed with an investment cast aluminum clamshell assembly and a CNC-machined alloy grip tube. These precision components give the well-tuned Biltwell Whiskey throttle its distinctive snap and allow builders to use a wide range of comfortable rubber grips. Each one includes throttle housing, throttle tube and a cable ferrule. Note: The black throttle housing may come with a raw or black throttle tube.